What are the various kinds of tasks on Crowdholding? Bounty tasks? Feedback tasks? Task tasks? Here's a quick guide. The 'normal' task on Crowdholding. Help solve problems by giving your input. If your comment gets voted up, you earn crypto! This is the core of 'crowdsourcing' on Crowdholding. Ideas are submitted by the crowd, then the value is rated by the crowd. A bounty task is a task that involves you sharing on social media and getting rewarded with crypto for doing so. 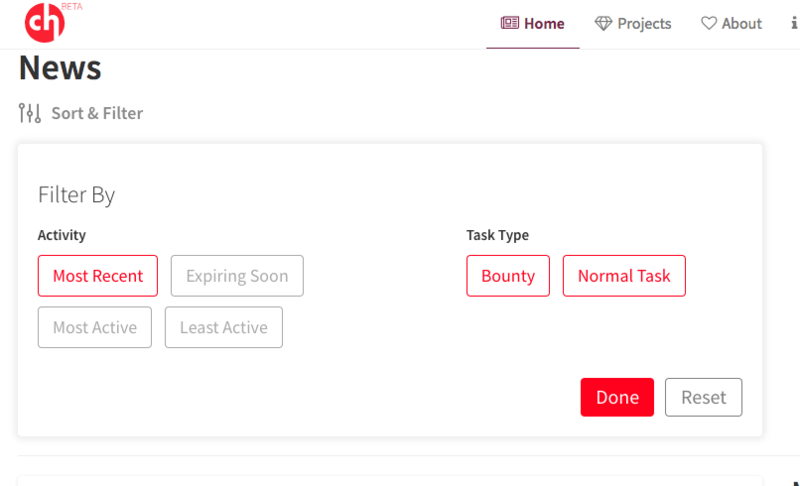 At the top of the project list you are able to filter between normal feedback tasks and bounty tasks to decide which tasks to participate in.